For small housing requirements this 250X23 box offer more design options. 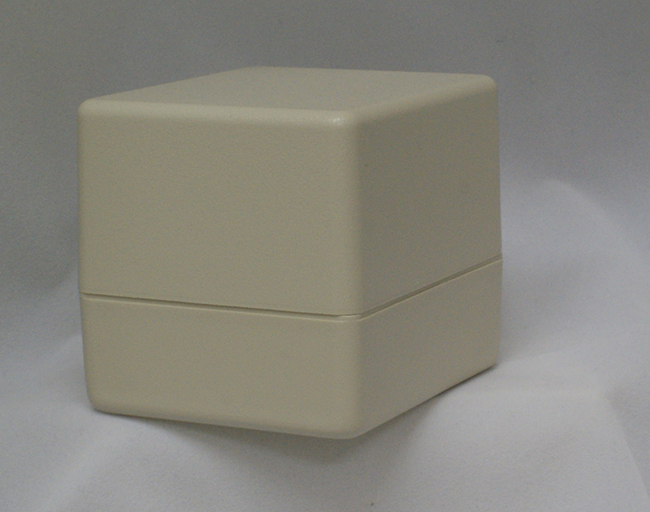 This plastic enclosure measures 2.50" x 2.50" x 3.00" and has 14.8 cubic inches of internal space for your electronics. It features a deeper bottom than the wall mount cases and are available with PC board mounting bosses molded in the bottom covers. The SIMCO BC-1 belt clip will fit all models.